Grupo Antolin have just taken delivery of a new MHM POWERBALE 70XXL. This is the largest of our Semi Auto Baler. Grupo Antolin came to MHM with a specific requirement, to bale very large items that have a lot of memory. Despite extensive searching they had not managed to find anything on the market that fitted their exact requirement. Grupo Antolin and MHM took to the drawing board together and designed the machine Grupo Antolin where looking for. This has now been installed and is performing perfectly. 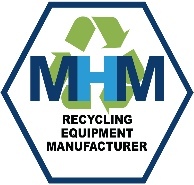 This is a typical example of how MHM can always find the solution to your recycling needs, whatever it is. If its not on the shelf or not been designed yet, MHM will work with potential customers so they do get what they need.